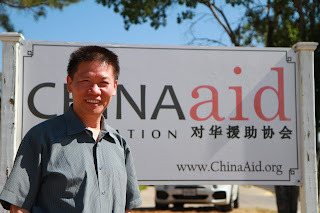 human rights in China and abroad. (Washington, D.C.-March 22, 2019) A group of individuals concerned about the rule of China’s Communist Party “will launch next week the ‘Committee on the Present Danger: China’ (CPDC) to reprise a critically important role played by an earlier incarnation of such a group during the darkest days of the Cold War,” according to a press advisory from the group. The CPDC exists on the premise that China currently poses a variety of threats to the rest of the world, which are described by the advisory as “existential” and “ideological” in nature. The CPDC will endeavor to mitigate such threats via advocacy and the education of the American public. During the former Soviet Union, a previous version of the group was launched. The launch will be held at the Reserve Officers Association, Ballroom, One Constitution Ave, NE, in Washington, D.C., from 1:00-2:30 p.m. EST and will consist of presentations detailing the threats and how to mitigate them. To interview one of the founding members, please contact Deborah Hamilton at (610) 584-1096, ext. 102, Pat Benner at (610) 584-1096, ext. 104, or media@hamiltonstrategies.com. Interviews with Bob Fu may also be arranged by e-mailing media@chinaaid.org. If you are a member of the press and would like to attend this launch, please contact media@hamiltonstrategies.com. The event will also be livestreamed at www.facebook.com/securefreedom.